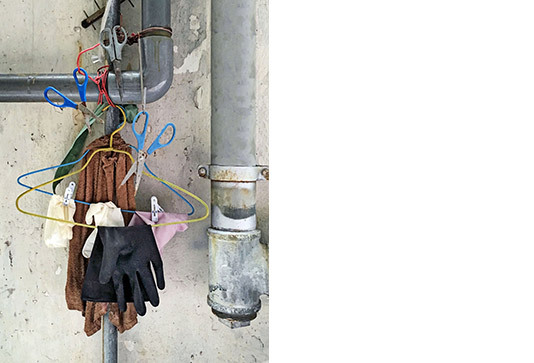 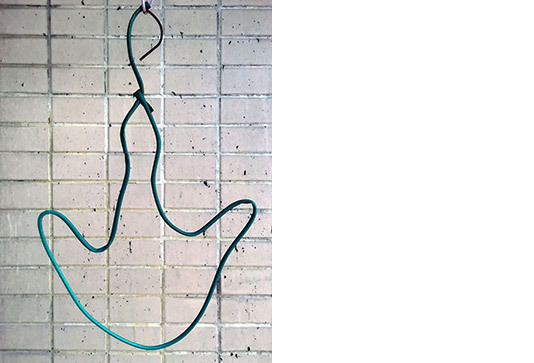 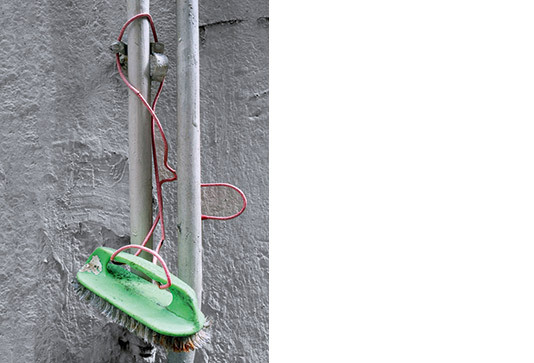 ›Hong Kong Coat Hangers‹ is the eighth volume from Michael Wolf's Hong Kong Back Alley Encyclopedia, which will be completed in 2017 with the ninth part. 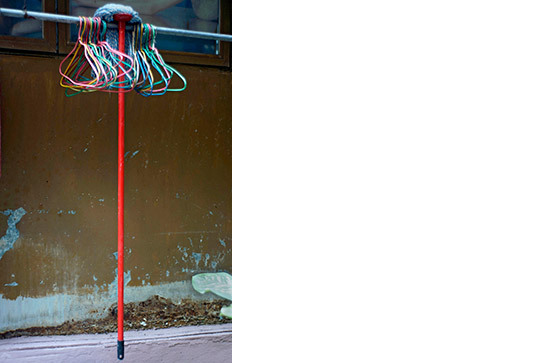 A total of 1,000 pages of mops, gloves, carts, chairs, plants, clothespins, umbrellas - and now coat hangers. 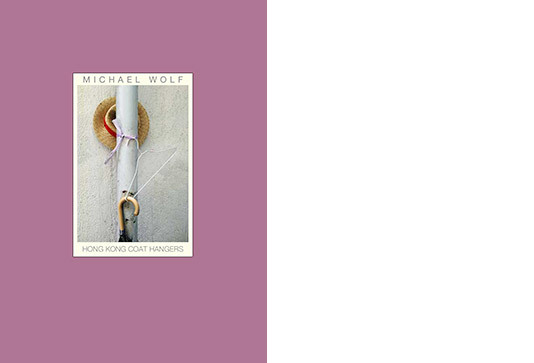 Sounds crazy, but Michael Wolf has much more to offer than just a few snapshots. 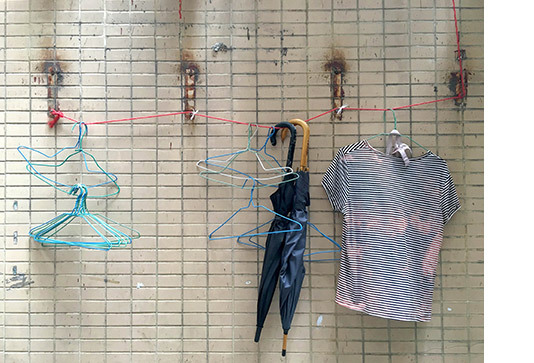 Hong Kong’s Back Alleys since many years are his laboratory for the exploration of behaviors, creativity and inventiveness of the city dwellers that are reflected in the amazing variety of random arrangements. 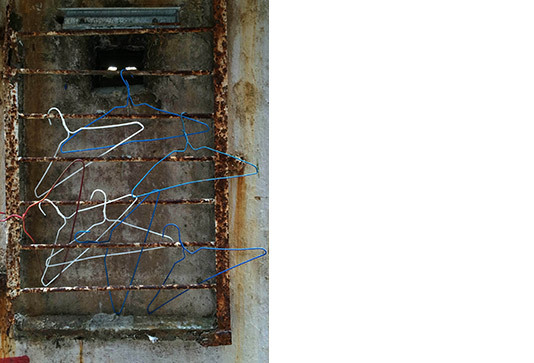 The hangers are no exception. 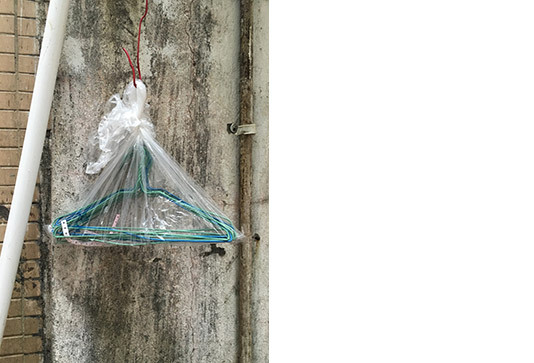 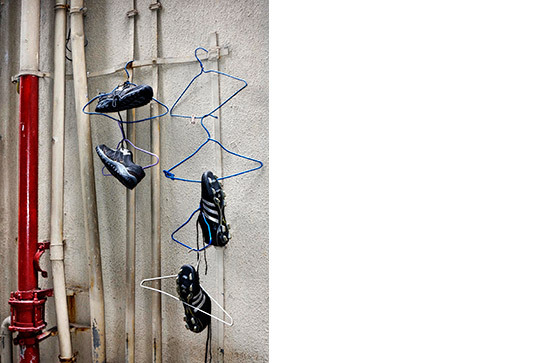 In Hong Kong they are not only used for clothes, but also for shoes, scissors, hats, gloves, umbrellas, plastic bags and – hangers. 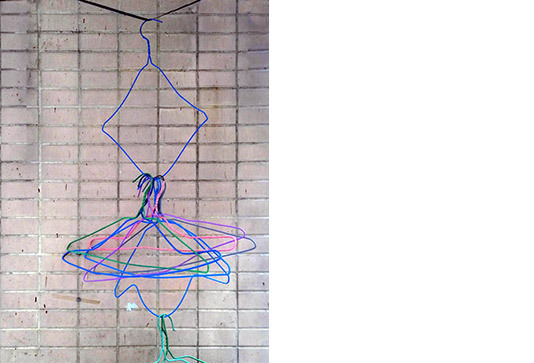 Serial sequences alternate with nested cascade constructions and filigree floating sculptures that no designer could think of. 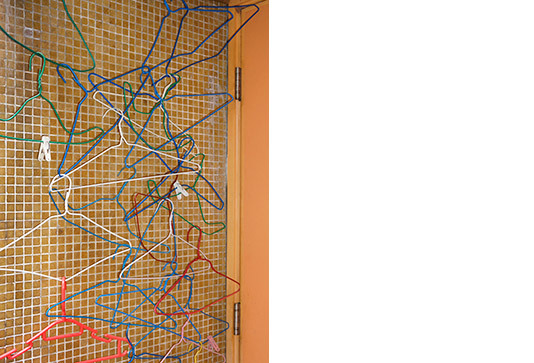 The original shape is bent and twisted until each hanger has its own individual character and serves its purpose best. 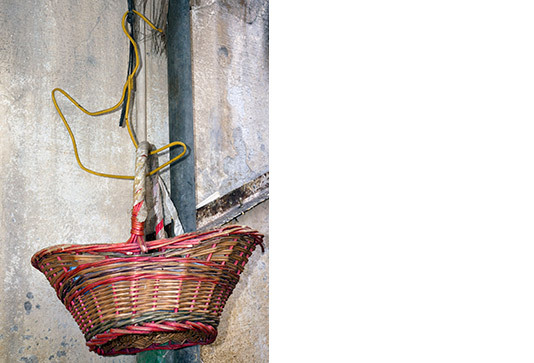 What does not fit is arranged to fit, simply gorgeous. 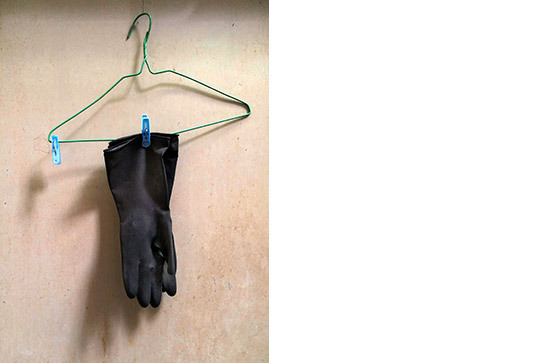 With this series of books Michael Wolf erects a memorial to his beloved chosen hometown. 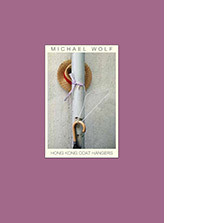 I look forward to the last volume and hardly believe that Michael Wolf can really stop then.